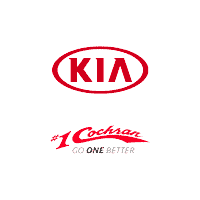 When you’re in the market for a new Kia, Go One Better and turn to #1 Cochran Kia of Robinson for all your Kia needs. Bypass other Pittsburgh Kia dealers, as we have the breadth of selection you deserve when you’re shopping for a new Kia car or SUV. Our Kia dealership near Moon, PA, popular Kia sedans for sale like the new Kia Forte or Kia Optima, as well as striking new Kia SUVs like the Sorento, Sportage and Soul. Our Kia sales experts are here to help you find your perfect match, and we’re always here to answer your questions and address your concerns. Don’t forget to ask about our new Kia specials, too!